Can Shiv Sena provide a new template for regional parties? The bickering between the BJP and the Shiv Sena has now become a regular feature. The Sena is seen to be progressively distancing from the BJP following its announcement that it will not contest the forthcoming elections as a part of the NDA. The latest development in the series has been Shiv Sena’s open support to the protesting farmers of Maharashtra. Not long ago, Shiv Sena’s criticism of the Modi government in the Nirav Modi scam case was making news. The Sena mouthpiece Saamna alleged that Nirav Modi “has been a partner of BJP and was at the forefront in helping the BJP collect funds for their elections”. Shiv Sena members in the past threatened to wave black flags during the prime minister’s visit to lay the foundation stone of Navi Mumbai international airport. The BJP on its part has been cautious in its reaction. These developments point out two things; Shiv Sena’s search for an independent identity sans the BJP and emerging trajectory of Shiv Sena’s as a dominant regional party. With Modi’s popularity under scrutiny, and the acceptability of the Congress under Rahul Gandhi under test, the regional parties may once again play an important role. Regional leaders like K Chandrashekar Reddy, CM of Telangana and leader of TRC, and Mamata Banerjee have recognised this possibility and recently met in Kolkata to discuss the possibilities of a ‘Federal Front’. The success of the SP-BSP alliance in a by-election in Uttar Pradesh has given a fillip to plans of an alternative front. In this context, regional political parties need to look at Shiv Sena’s evolution under Uddhav Thackrey as an alternative template, irrespective of the nature of government at the centre. In many ways, Shiv Sena’s trajectory is similar to many other ethnic parties born out of ‘sons of the soil’ movement. As is now well chronicled, Shiv Sena was founded by Bal Thackeray as a non-political organisation, vigorously taking up the cause of the ‘Marathi Manoos’ – sons of the soil in Maharashtra – in 1966. Its journey started as a youth organisation that espoused the cause of Marathi people in Mumbai. The economic crisis of the 1960s, with skyrocketing inflation, food and housing scarcity, job losses and growing rate of unemployment created large-scale displacement and a sense of disenchantment among the middle classes, especially in the city of Bombay as large migrant population in search of livelihood moved to this megapolis stretching its resources to its limits. According to one report, in 1961, Maharashtrians formed less than half (43%) of Bombay’s population. Though no single non-Maharashtrian community was in a majority, together they were larger in number than the Maharashtrians. The local Marathi-speaking population lagged behind in occupational status and education. The Sena gave voice to this disenchantment and mobilised support with its anti-south Indian’s campaign. It soon became a powerful force, effectively claiming that Maharashtra belonged to Maharashtrians. Within one year of its formation, the Sena started participating in city elections of Mumbai and Thane with success. Up to 1985 the Shiv Sena was largely a Mumbai based party, winning seats in almost all elections from the city. Given the nature of issues it raised, the party appealed to the sensibilities of the working class. In its early days, the Shiv Sena allied with the Congress party both in the assembly and in the Lok Sabha elections. In 1971, it fielded three candidates for Lok Sabha from Mumbai and Konkan, winning one; in 1972, six candidates for the assembly election, winning two. In 1977 the Shiv Sena declared its support to emergency proclaimed by Indira Gandhi. Consequently, in 1978, Shiv Sena allied with the Congress (I) and fielded 33 candidates for the assembly elections. Sena’s association with the BJP dates back to 1984, when they allied for the Lok Sabha polls and contested two seats from Mumbai, losing both. In 1985 after failing to secure an alliance with Sharad Pawar’s PDF, the Shiv Sena contested 33 seats on its own, and managed to win only one seat from Mumbai city. On the eve of the 1989 Lok Sabha polls, the BJP-Shiv Sena alliance took shape again. Since then, the two parties have remained steadfastly in alliance, contesting all Lok Sabha and assembly elections together till the BMC elections in 2017. Through the period of the leadership of Bal Thackeray the Shiv Sena treaded the middle path between a regional political party and an aggressive right-wing movement. Its view on Hindutva and migration of outsiders to Mumbai in particular and Maharashtra in general made it a movement with political positions and electoral interests. As Suhas Palhikar, an eminent political analyst, has pointed out, “It was a party with two avatars”. As a political party "operating in the arena of competitive politics and as a social force representing and exacerbating the anti-democratic tendencies prevalent in the society”. It was the latter rather than the former that drove the party to its expansion and added to the support base of the party. It was a firebrand party with emphasis on direct action. In 2003, Uddhav Thackeray, Bal Thackeray’s son assumed the leadership of the party. This led to a split in the party with Raj Thackrey, Bal Thackeray’s more charismatic nephew, forming the MNS. Raj Thackeray carried forward the politics of rhetoric of his uncle. Udhhav has presided over the party in difficult times. Since 2012, there has been a gradual decline in the fortunes of regional political parties. In 1997, regional parties governed 15 out of 24 states. By 2014, they governed only 10 out of 29 states. This trend was exasperated in 2014 elections when the Modi wave swept the country. Subsequently, the BSP and SP were decimated in Uttar Pradesh, while Nitish Kumar has formally allied with the BJP in Bihar. Uddhav has been prudent in understanding the changing political scenario and has succeeded in remaining significant. He traversed a different course from both that of his charismatic father and his mercurial nephew. Under his leadership, the Shiv Sena made a transition towards becoming a regional political party, primarily concerned with contesting elections and putting its agenda into action through political offices. While Hindu nationalism and regional chauvinism continue to be the ideological backbone of the party, the Sena under Uddhav has emerged as a more cohesive unit. 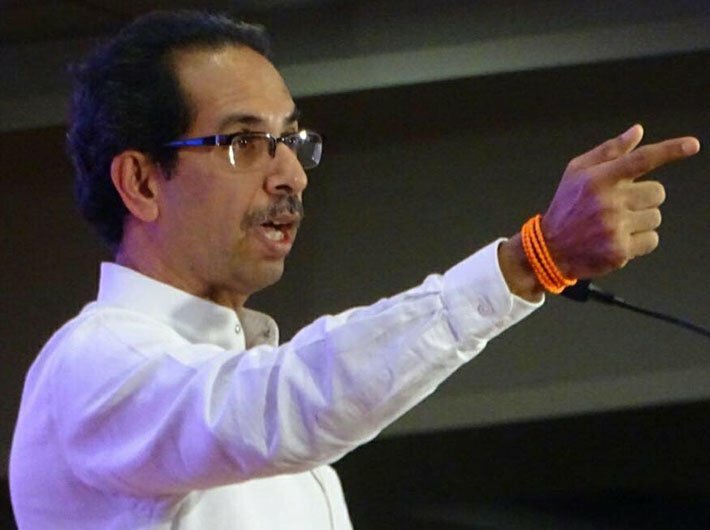 Partly as result of his lack of charisma and partly because of the changing political dynamics of the country, which demanded stable structural organisation, Uddhav has invested his energies in building the organisation. Instead of relying on charisma or lineage, he has worked on his stronger quadrant and developed decent control over the party organization, keeping his flock together. Such has been the consolidation in the rank and file of the Shiv Sena that it has found enough courage to split its alliance with the BJP in the BMC elections. In the elections that ensued, the Sena won 84 seats, nine more than its 2012 tally, when it had fought in alliance with the BJP. Though the Shiv Sena continues to be a part of the Devendra Fadnavis government and has 63 MLAs in the Maharashtra assembly, it acts like an opposition within the government creating opportunities for it to go alone or in alliance. This is an important, though uneasy strategy that Sena has adopted. It created room for the autonomy of the party, while preventing a complete breakdown of the coalition. In a sense, this transition is natural and is result of the fact that the Shiv Sena is no longer a movement, but a political party. Uddhav has highlighted three crucial elements that determine the fate of regional party; (1) Party organisations are important in electoral battles, especially if the opponent is as strong as the BJP. Regional parties need to ramp up and restructure their organisational structure. (2) Regional parties allied to BJP or otherwise need to renegotiate their space to remain relevant. (3) Strong regional leaders with organisational backing may well determine the nature of political dispensation. Uddhav does not have his father’s charisma. As party workers reiterate, he does not lead the party the way Bal Thackeray led. But he has built his own following and has relied on a mix of Hindu nationalism, regional chauvinism, development and accountability rhetoric. He may well be providing a blueprint for the next generation leadership of regional political parties.